Rebecca Demski wrote this blog entry for the course “Language and minorities in Europe” (FRIT 418) in Spring 2016. She is a sophomore in Communications at UIUC, and is particularly interested in telecommunications and linguistics. It’s no mystery that the introduction of the Internet in the 1990s revolutionized the world; its genesis was akin to that of the printing press. Communications were an obvious target susceptible to change and with communications, so to, languages. Approximately 3 billion people have access to the Internet (Chang). A little less than half of the global population has formed and made a digital footprint, so to speak, simply by means of existing. What about the other three-fifths? The other excluded 4.2 billion people are threatened because they have no voice in the ‘conversation’ amongst users taking place. Only about 300 of the 7,100 languages in existence are present on the Internet according to a report from the United Nations Broadband Commission in 2015 (21). Of the 10 million most popular websites, the English language is utilized for 55% and the remainder of the majority are in Russian, Japanese, German, Spanish and French for about 6% of websites. What about the rest? At-risk languages are estimated, according to UNESCO’s website, to be around 2,500 and approaching 3,000 in total. In order for a language to be resurrected, or at best preserved, it requires utilization and documentation. The modern tool which allows this is the Internet. In order to nurture languages and prevent digital language death, an environment must be established first for viability. “The classical studies of language death lay down one absolutely unbreakable rule: no community, no survival” (Kornai 5). The unfortunate reality of digital linguistic ascension is that over 95% of languages no longer have this capacity (2). But all is not lost! Manx was declared ‘extinct’ since 1974 when its last native speaker died. Within the last five years there have been efforts to resuscitate it. The linguistic revival of Manx is an example other dying languages should follow. Manx has not graced the realm of the Internet until recently. A revival project through Viki, a global television site on par with Wikipedia, and the Living Tongues Institute explores the current state of the language on the Isle of Man. Children are learning Manx and are the seedlings for revival. Despite a very limited number of speakers, the Internet allows for linguistic maintenance regardless of the speaker’s location, age, and affluence. Essentially, the introduction to the global conversation by means of the Internet can resurrect languages. The potential for digital preservation, as in the case with Manx, dramatically impacts the vitality of a language. Increasing global Internet access would help to quell the threat of losing more languages and potentially help restore the status of many endangered languages. Although the bulk of the responsibility for improving technological capabilities and development rests in the government, the remainder of the burden falls on websites of the Internet. 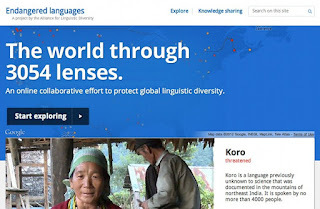 Google took initiative to fund the Endangered Language Project in 2012. The web portal allows contributions from worldwide users such as esteemed linguistics or even high-school freshmen. Contributions include alphabets, photos and videos, history, vocabulary, and sound bites. 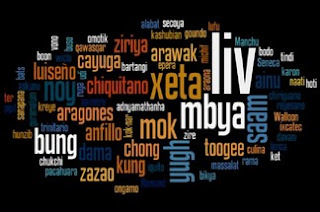 Over 3,000 languages are recorded on the website. Whether this has any long term benefits is unknown at this time but for the time being it increases linguistic awareness and learning. Twitter is a social media website that potentially could shift interpersonal communication if it made the right adjustments. Features such as language selection would help to improve communications. Twitter currently “does not offer support for translation or features for strengthening connections between language groups” (Eleta & Golbeck, 431). If linguistic modification to unite communities were afforded by website developers and computer scientists, then perhaps the digital linguistic disconnection would be eliminated. It would be nearly impossible to rescue every endangered and dying language from digital death but the possibilities with the naissance of the Internet bring hope. The Internet functions in two ways: one, it kills off weak languages and accommodates the thriving ones, or two, it includes the old and feeble languages and ensures a greater chance of linguistic diversity and most importantly, survival. 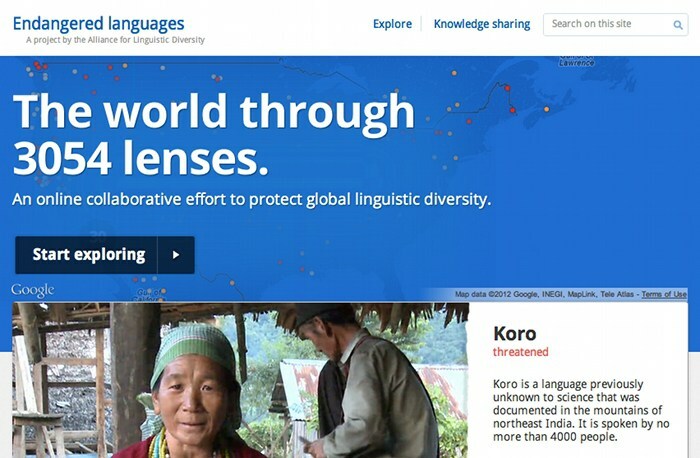 "Atlas of Languages in Danger | United Nations Educational, Scientific and Cultural Organization." Atlas of Languages in Danger | United Nations Educational, Scientific and Cultural Organization. N.p., 2010. Web. 14 Apr. 2016. Eleta, Irene, and Jennifer Golbeck. "Multilingual Use of Twitter: Social Networks At The Language Frontier." Computers In Human Behavior 41. (2014): 424-432. Academic Search Complete. Web. 5 Apr. 2016. Kornai, András. "Digital Language Death." Plos ONE 8.10 (2013): 1-11. Academic Search Complete. Web. 15 Apr. 2016. The Broadband Commission for Digital Development, comp. "The State of Broadband 2015." (2015): 1-100. Web. 13 Apr. 2016.